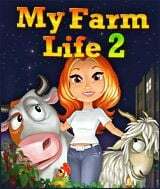 Download My Farm Life 2 for free at FreeRide Games! In the Time Management game My Farm Life 2, Lisa's fledgling TV show is about to be cancelled and she needs your help keep it on air! Help Lisa tackle the unique challenges of running a rooftop farm and grow organic crops 30 stories above busy city streets. Milk cows, and produce goods in 60 exciting episodes! Beat the clock as you grow chili peppers, make hot sauce, and sell the fruit of your labor to Carlos will pay you cash for any crop you deliver, but you have to fill all his empty crates with produce along with your other objectives to pass each level. 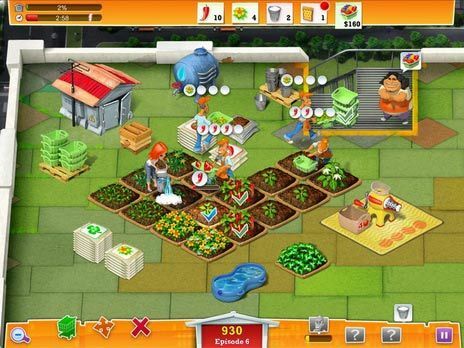 My Farm Life 2 features a variety of assistants who can be activated by chaining the same actions, like watering or harvesting the same crops, repairing machines, or delivering orders. You'll come to rely on the abilities of the different assistants in order to complete levels before time runs out, but some of them may also prove to be annoying, so it will be a challenge to increase production by creating an efficient layout, hiring the right helpers, and upgrading your machines to maximize your productivity. Ready for a rewarding day's work in My Farm Life 2? Engaging pace and intuitive controls.